The Roman Catholic Diocese of Phoenix is committed to helping the faithful encounter the living Christ through conversion, communion and solidarity. 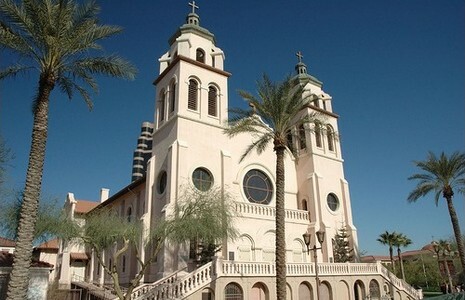 Established by Pope Paul VI on Dec. 2, 1969, the Diocese of Phoenix is led by the Most Rev. Thomas J. Olmsted. More than 1.1 million Catholics make this diverse, vibrant and faith-filled diocese their home. The faithful worship, receive the sacraments and participate in the many activities and social events at one of the 93 parishes in the Diocese. More than 15,000 students attend one of our 28 Catholic elementary schools, six high schools and 29 preschools.